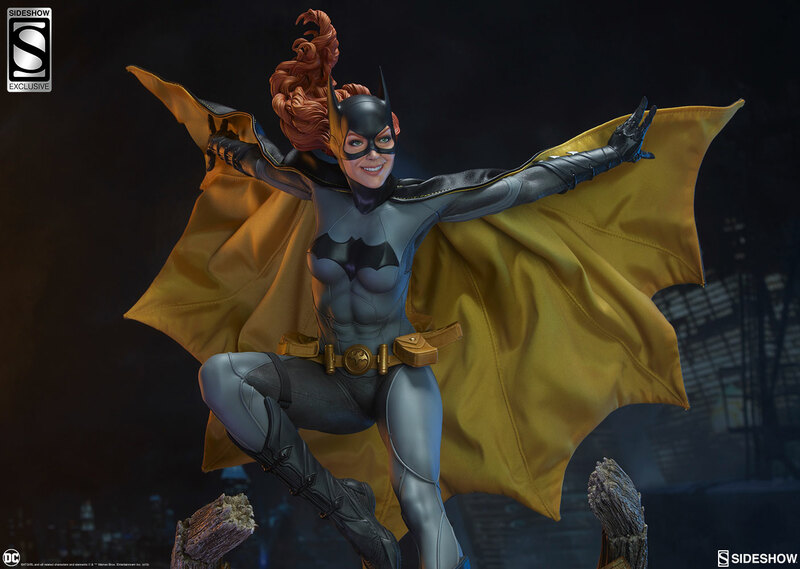 Sideshow presents the Batgirl Premium Format Figure. 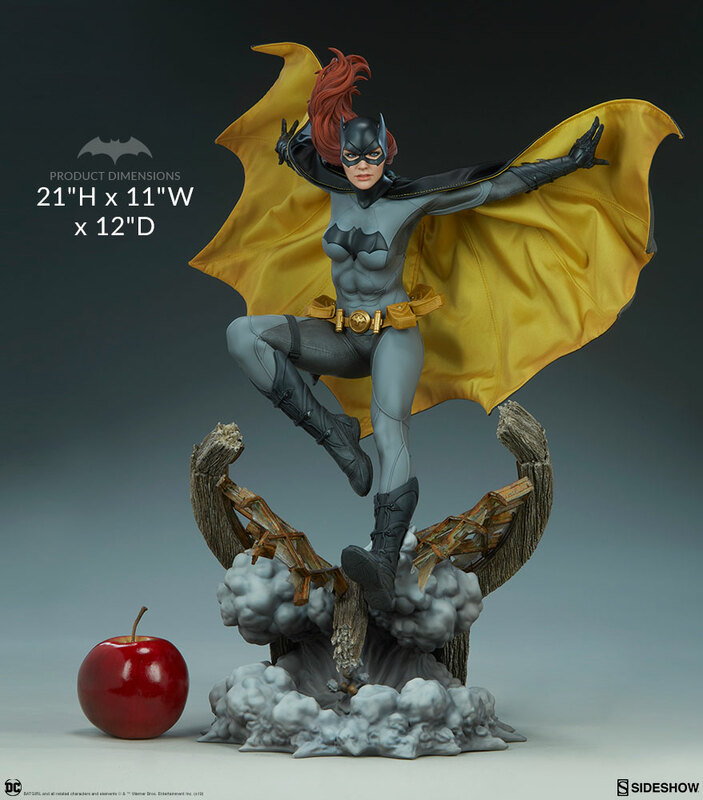 The statue measures 21” tall and depicts Barbara Gordon as she drops in from the rooftops, bursting through a shattered warehouse window to catch criminals in action. 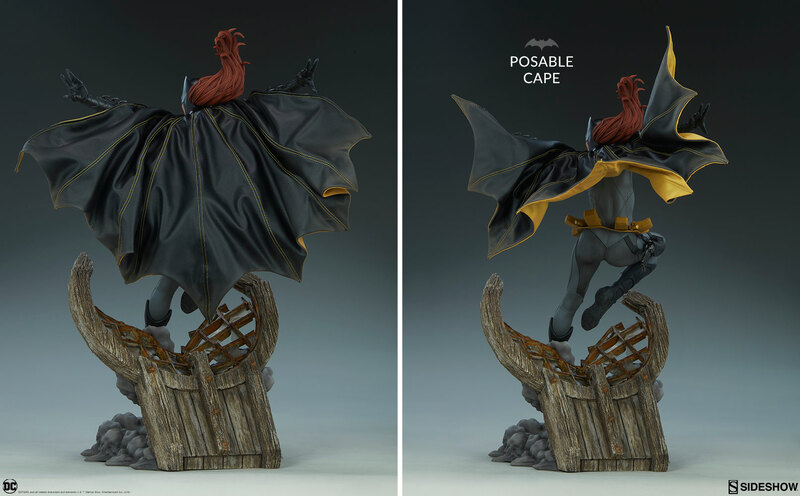 A mixed media collectible, The Batgirl Premium Format Figure is made of polyresin and features a tailored fabric cape with multiple internal wires that allow you to craft the perfect pose. 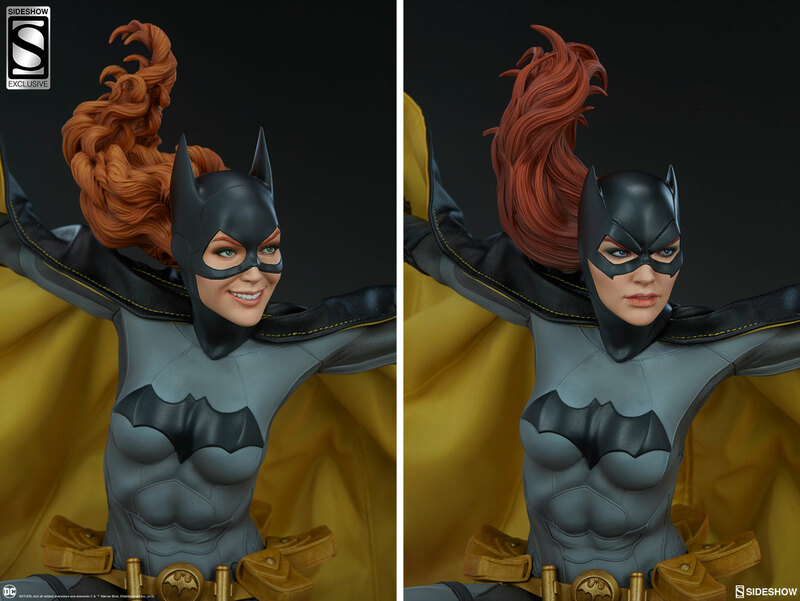 The Exclusive Edition of the Batgirl Premium Format Figure includes an alternate portrait with long curly hair blowing in the breeze. Her cowl features elongated ears and a rounded mask on top of a vibrant, energetic expression as Barbara jumps into action. Pre-orders for the Batgirl Premium Format™ Figure will begin on Thursday, January 10th between 12pm-3pm PST. The Exclusive Edition will be priced at $575.00 USD and the Collector Edition will be priced at $560.00 USD.